Attention folks, I have an important announcement to make. There is a new love in my life. Yes, my new running shoes. 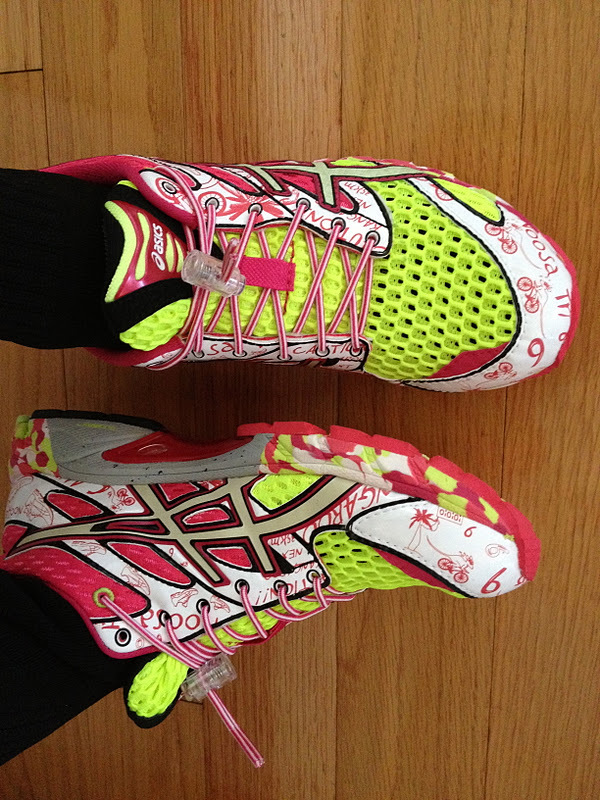 The Asics GEL-Noosa Tri 6s. Yes. Guess who I have to thank for these babies... my brand-new best friend/RUNNING COACH. Yesterday, I mentioned that I was meeting up with the owner of this running store who happens to know everything there is about running. He's a pro and he's worked with Team In Training, as well as some olympic runners! Anyways, long story short. He offered to train me via emails and Skype sessions, with personalized training plans and workouts! 1. I should fuel properly on all my "long" runs, taking in about 100-200 calories every 45 minutes. This can be in the form of milk duds and m&ms too. 2. I should let go of any silly diet rules that girls are often plagued by - I should eat whatever I want and make sure I get enough calories and carbs into my diet. any guy who tells me this is my hero. 3. You should run from "hip to nip and don't unzip." Meaning your arms should be slightly bent when you run, and your fingertips should swing from your hip to your "nip" and should never cross your body. 4. I should lessen the miles right now and focus on "pre-season" training, like hill workouts, speed intervals, and cross-training. WOOHOOOOO! I'm already in love with this guy. I have so much to tell you guys, so I'll be filling you in more as we go! 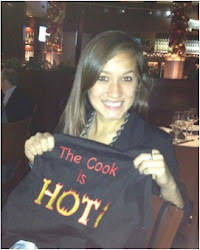 Last night was my going away dinner of sorts :( I hopped on a plane to San Diego this morning. We headed to a delicious Indian restaurant - my favorite! Indian food is my weakness. There is just something magical about carbs and curry... gets me every time. Our waitress brought us over Papadum as soon as we were seated. It this light and crispy cracker that you top with all sorts of yummy chutneys and spicy cilantro sauces. We munched on that as we placed an order for a Sampler Appetizer that basically included an assortment of fried finger foods. There was a Veggie Samosa, some sort of fried potato pancake, a fried jalapeño/cheese thing, another fried cheese and spinach dish.... fried food heaven! We all selected an entree, but it turned into family style. 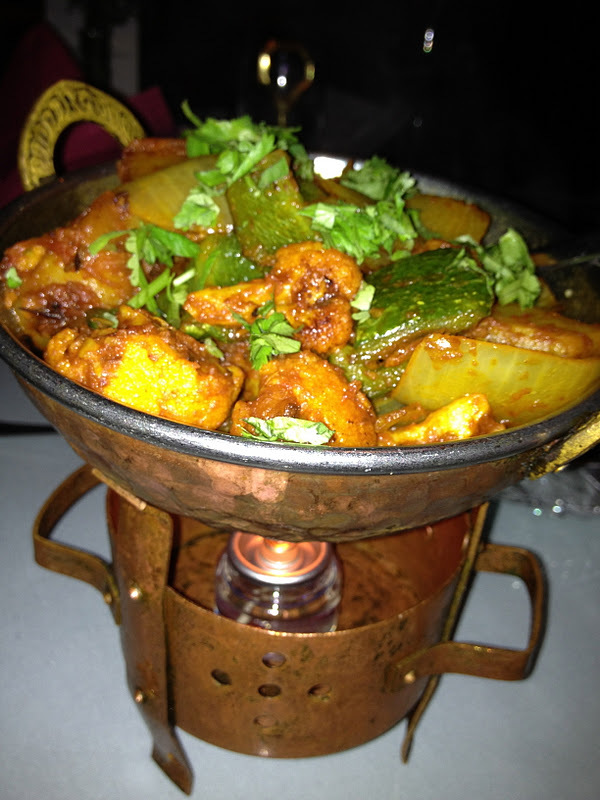 Chicken Tandoori with Onions and Spices. That wasn't the official name, but that's basically what it was. I love the tandoori chicken is always juicy and perfectly cooked - I hate dry chicken! The plate was still sizzling when it landed on our table. We got some Bhindi Masala for the table -- a spicy okra dish! This was my first time trying it out and I was definitely a fan. I love the veggie dishes that focus on spices rather than creamy sauces. We got Assorted Naan breads that included onion naan, some garlic naan, plain naan, and stuffed naan... I was in carb heaven. I listened to my coach and ate myself silly. Dad got a Stewed Lamb dish that was heavenly.. The lamb was so soft, it fell apart when you picked it up with a fork. Dad's all about the meat... ya know. I need to figure out a way to stop eating before I explode.. it's a bad habit of mine. But that basket of naan was just sitting next to me... and everything is so delicious! Oh... don't worry. I got dessert. I'm not crazy. 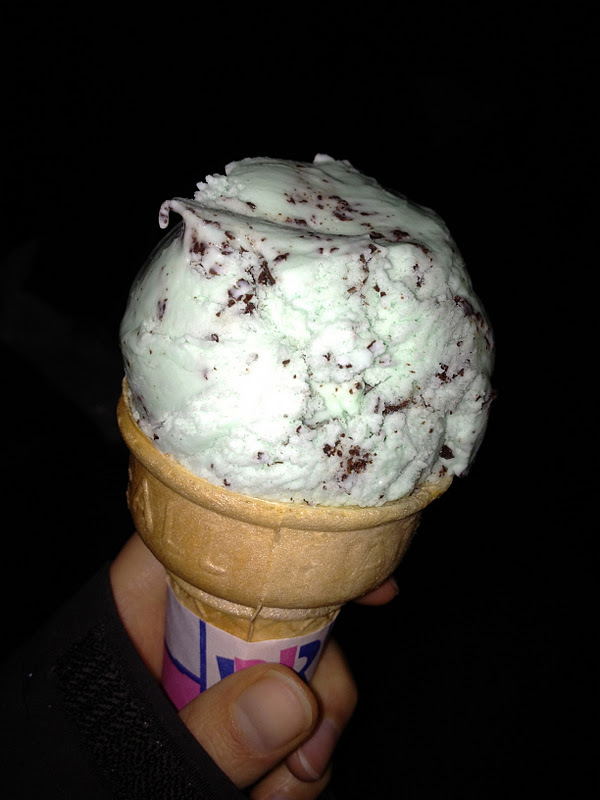 Mint Chocolate Chip from Baskin Robbins! Is there a better way to cool off after inhaling curry? I didn't think so. I headed over to my cousin's - newly engaged Austine! - for some girl time before heading home to pack up my stuffed suitcase. Back to the west coast for this girl. I HAD AN AMAZING RUN WITH MY NEW BABIES!!!!!! Just so you know. In case I wasn't obsessed enough as it is.. Your coach has a great attitude and is so right about fueling up!